Suhana Khan Giving All The Fashion Inspiration You Need In 2018! Most normal seventeen-year-olds would be battling acne, living out of their school uniforms and dying their hair pink on a rebellious streak. But not when you are the daughter of superstar - Shah Rukh Khan. Suhana Khan has a penchant for everything royal and fashionable and that doesn't come as a surprise especially with her ensemble choices that are anything but boring. The star child rarely steps out but when she does - she ensures we all take notice. 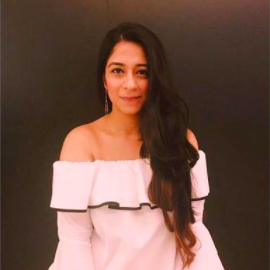 From sequined mini dresses to quirky t-shirts, Suhana Khan has aced it all. Check out some of our favourite fashion looks from of hers here and discover exactly why she is our fashion inspiration for 2018. The young trendsetter brings out her inner diva-style in this gorgeous sparkly mini dress. We love how the dress reveals a hint of her toned body from her stomach. Also notice, how she has chosen to go accessory-free because her dress does it all for her. This outfit of Suhana Khan ticks all the right boxes - we love the choice of a sage green lehenga and the fine detailing crystals provide a nice girly vibe. A wise decision to show off that toned stomach by opting for a short choli. (If you have it, you should certainly flaunt it). 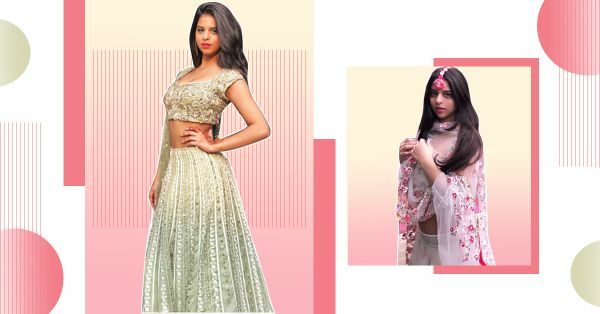 Also, have a look at Suhana Khan's *Stylish* Appearance Is All The Shaadi Outfit Inspo You Need For 2018! 3. A classic revamp of the LBD! The easiest way to revamp the classic little black dress? Add ruffles, an off-shoulder neckline and style it with a golden embroidered belt. While we love the outfit, we really wish she had opted for pop-coloured or graphic heels instead. We love this look of Suhana Khan simply because it is easy to put together and surprisingly affordable. A white v-neck t-shirt, tucked into shorts and obviously every girl’s favourite sneakers - Adidas Superstars. We recommend wearing this look to your next vacation with your equally cool mom, of course. Also, have a look at The Star Kids That Have Got Us Hooked! 5. Bodycon dress? Yes, please! Another thing Suhana Khan is good at? Carrying off a bodycon dress like its nobody’s business and nailing it to perfection. We love how this dress flatters Suhana’s toned body. Also, have a look at Suhana Khan Out With Best Friends Is Friendship Goals.